So the day has arrived then! When I looked at the samples for this calendar the one “oh come on!” sample was this one. Haig brand comes from the Cameronbridge distillery in Fife. The brand is from the original owner John Haig who sold up and it eventually came under the control of Diageo. The name Cameronbridge refers to the name of the village the distillery resides in. This new reincarnation of the brand is part owned by David Beckham (from the football) and Simon Fuller (from the music) so this is like designer whisky then? Cameronbridge is a grain distillery which means the raw ingredient is not malted barley rather some other grain and it is not distilled in a pot still but some other piece of equipment. Normally, this is a Coffey still which is a form of column still. The claim to fame for Cameronbridge is it had the first ever column still to be installed in a distillery. The Coffey still is a refinement of the concept by Aeneas Coffey but the column still was invented by Robert Stein in 1826 and installed in Cameronbridge. 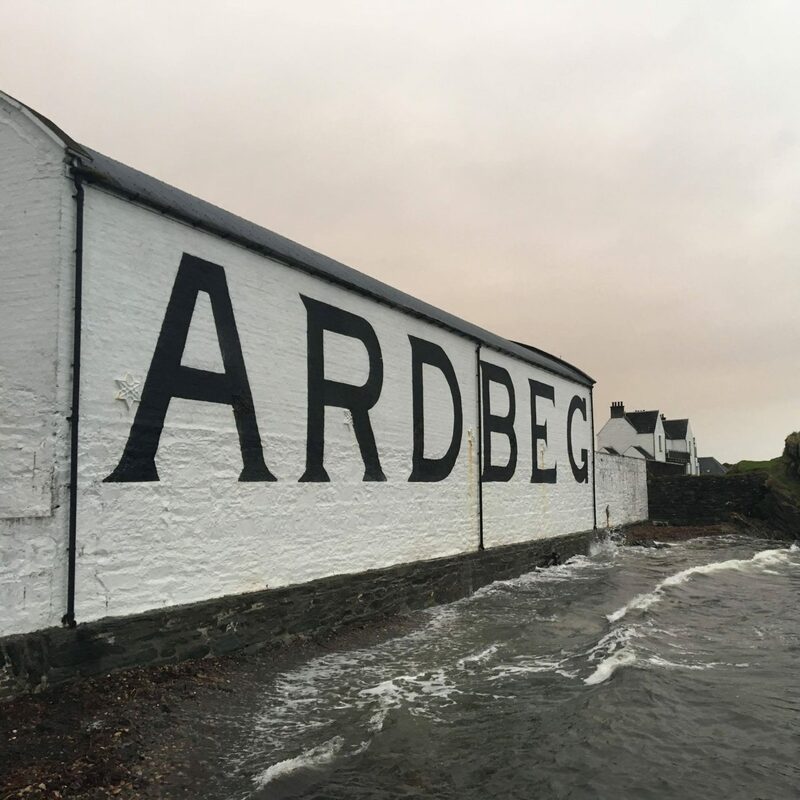 Additionally, there is a claim Cameronbridge was the first legal distillery in Scotland. A column still is a set of two columns which work on a continuous cycle rather than a batch mode like traditional pot stills. The process is cheap to do and results in a lighter purer alcohol being produced over pot stills. The process works by steam is fed into the base of the analyser and hot wash into the top. As the two meet on the surface of the perforated plates, the wash boils and a mixture of alcohol vapours and uncondensed steam rises to the top of the column. The spent wash runs down and is led off from the base. The clubman is 40% ABV and can be as cheap as £15 in supermarkets. It will probably have colouring and chill filteration and without an age statement will be pretty young as well. Young grain whisky is likely to be a challenge as I find the rawer alcohol has a burning vodka taste but lets see how we do. Right so here is the thing. If you are a drinker of whisky and you buy bottles on a regular basis then this is not a Cameronbridge product you being asked to buy. Perhaps a better bet is a single cask release from a good independent like this. Possibly 20 years older and 3 times the price but it is a product designed for you at least. No, this product as a celebrity endorsed “crossover” product for the vodka-mixer drinker does exactly what it was designed to do. On that note there is really nothing else to say.